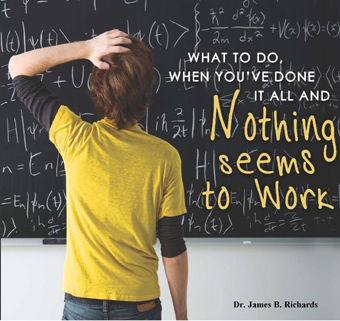 This series by Dr. Jim Richards answers the questions, “What do I do when I’ve done it all and it still isn’t working?” In a practical, no-nonsense way Dr. Richards gives you eight powerful, faith-based messages full of practical advice and steps you can take right now to turn any failing situation into a life success. With every message, you will get new tools, new confidence, and new answers that really work. Tired of the same old religious clichés? 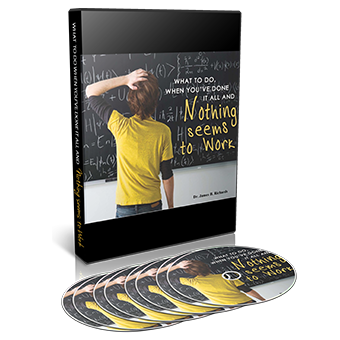 Tired of the same old formulas that never really worked? Everyone faces their own specific mountain. But everyone is filled will mountain-moving power. You have enough faith! You have enough of everything you need. You just need to know how to get it to work for you. When you experience the power to move THIS mountain you will have the heart to move ANY mountain. This isn’t just a series, this is a life renovation.